Here is a great image by one of our workshop attendees, Kathi Archery, taken on the Flash Photography Workshop. The combination of flash and movement is interesting. We created this shot by first setting the camera to manual mode with a shutter speed of 1/3 sec. The next step is to set a combination of aperture and ISO that gives you an ambient exposure which is between one and two stops underexposed compared to what the camera’s in build meter is telling you it should be. For this reason you’re best off working in an environments that’s dimly lit such as under a bridge or at dusk. Next, set your flash manually so that it gives a good exposure of your subject based on your aperture and ISO. Try not to have your flash spill light onto the background; you may want to fire it off camera. Then shoot! 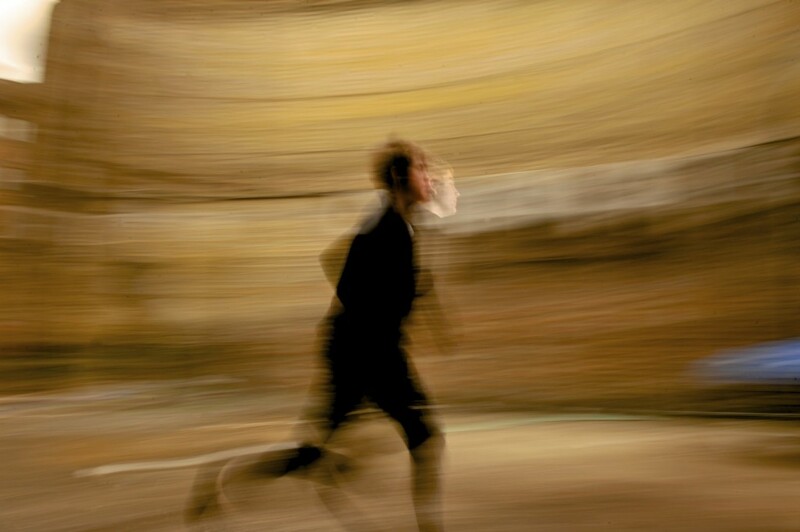 Try panning while you shoot, ask your subject to jump, zoom while you shoot. Not every shot will be great, but you should produce a few unusual and rewarding photos. In this shot, Kathi used a shutter speed of around 1/3 sec and panned whilst the model ran, this gives the sense of movement. We used an off camera flash to the right of the model, putting a burst of light into his face to give the sharp image of his face.